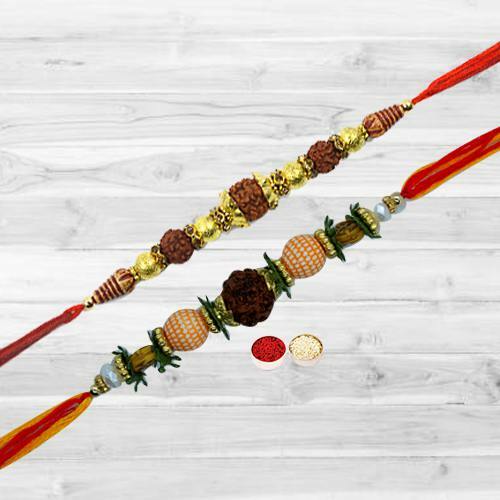 Add a magical charm to the festive mood of Raksha Bandhan by ordering online this Auspicious Rakhi Set whose beauty is elegantly amplified in the presence of a free Rakhi, Roli Tilak and Chawal. This is a beautiful Thread 2 Pcs Rakhi designed for your brother. This is Nicely decorated and wrapped.